Beef! How many ways shall I cook thee! 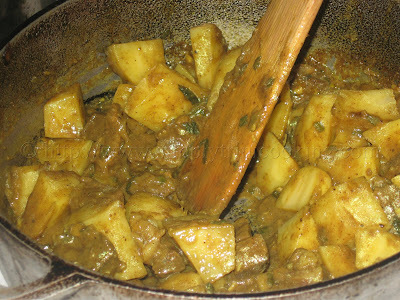 I can stew you, bake you, or grill you, but today I’m going to curry you with potatoes. Haha!! 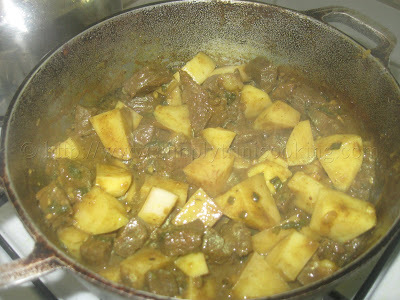 Curry beef with potatoes is such a versatile dish. It goes great with rice, paratha roti or dhal puri roti, and it is simple to prepare. 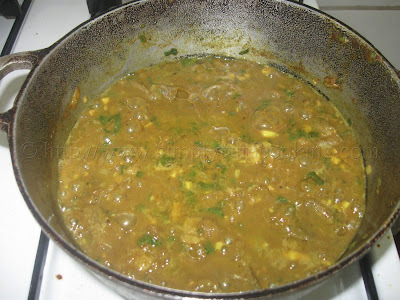 Now, if you have this with roti, this is where it can become very interesting. 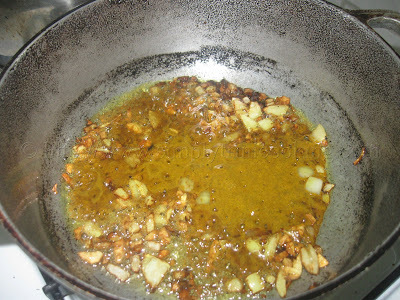 I always enjoy adding curry bodi, pumpkin, fry ochro, and dasheen bush bhaji as a side to the roti. In the end, you are completely satisfied for the next four hours, especially with a cold glass of mauby. However, today the rice will do. You can also add your usual fresh green salad to it, and an extra dash of pepper if you are brave like me. 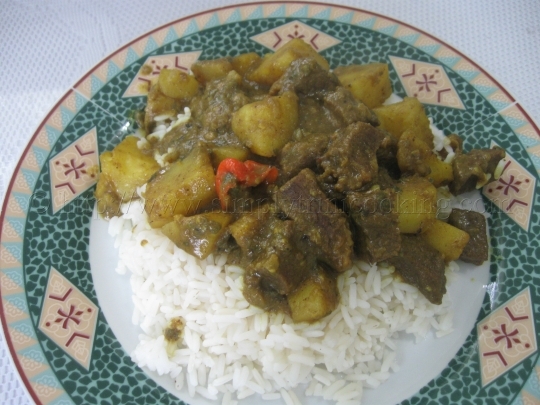 Here is rice and curry beef with potatoes. Enjoy! 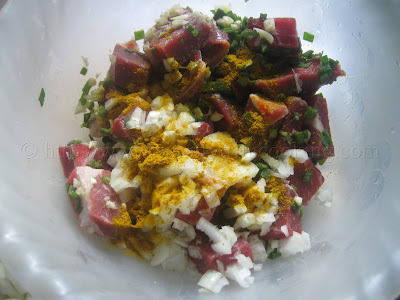 You can also pressure cook the beef before you start to curry it. 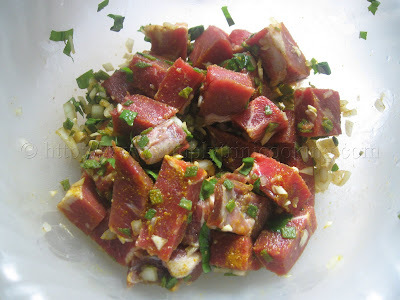 You’ll have nice tender beef and shorten your cooking time. Boil about 1 1/2 cups of rice; drain and set aside. Mix thoroughly. 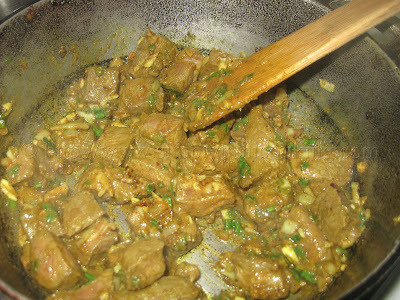 Allow the beef to be evenly coated with the curry. In a cup, add 1 tbsp. 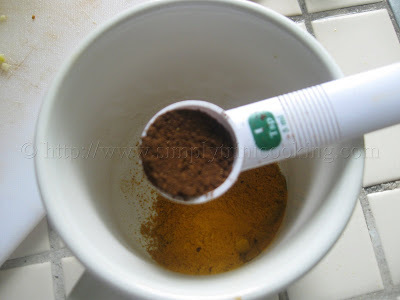 curry powder…. and 1 tsp. 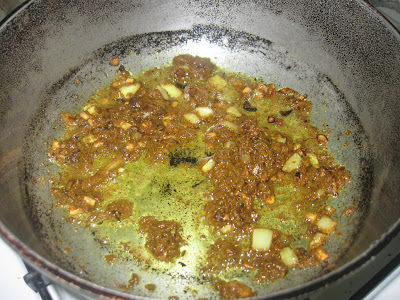 geera powder add a little water, stir and set aside. 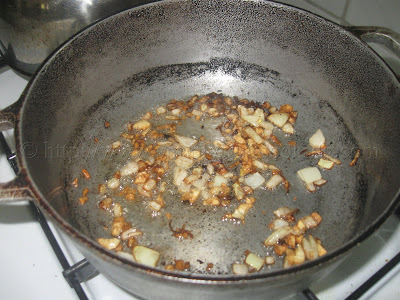 for about 1 minute or until golden brown. 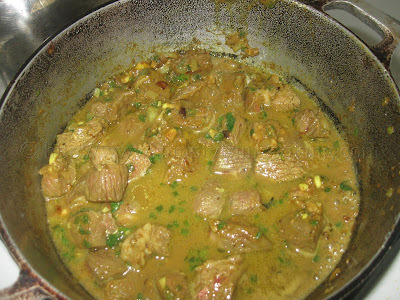 then add the beef and mix thoroughly in the curry. Let the beef simmer for five minutes while constantly turning. 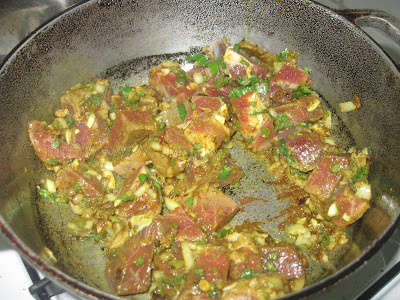 Then you add enough water to cover the beef. 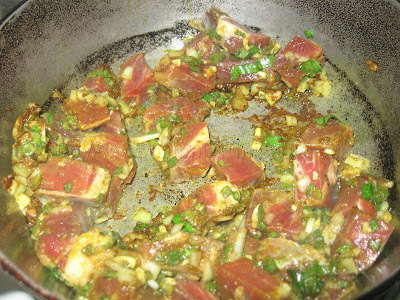 Allow to cook for about 30 to 45 minutes. By this time the beef is nearly done. Add the potatoes now. 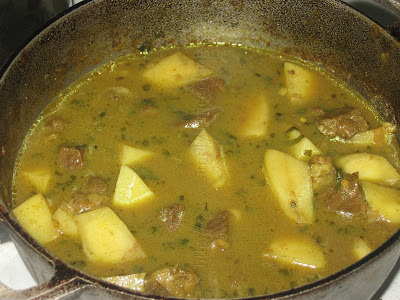 Continue cooking until the beef and potatoes are cooked. Be sure to add water often to prevent burning. 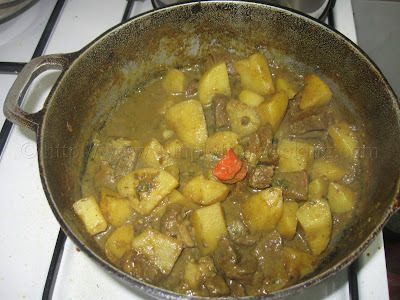 The finished curry beef with potatoes. 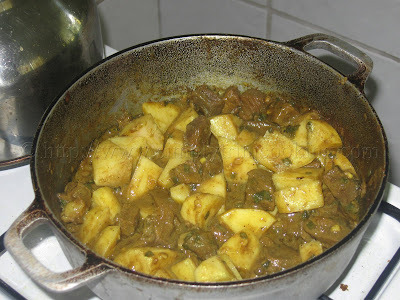 Don’t forget to leave your comment for this rice and curry beef with potatoes in the comment box below. 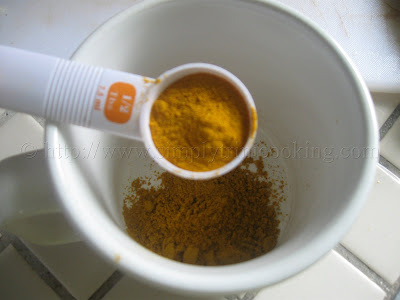 True Turmeric or Hardi.. I wonder where we got the name saffron from? Probably it’s because of the colour. 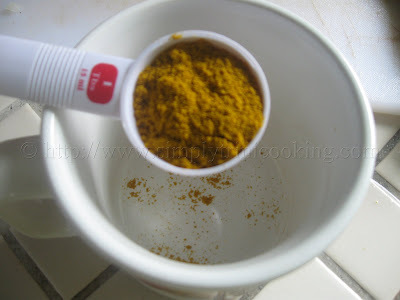 Found a link on turmeric for those who would like to know about it. We make much larger quantities but multiply accordingly. Some places in Canada we can’t get shadow benny (Hahahahaha) so we use an imported green seasoning. It works fairly well. We also add a little cumin and fresh tomato, and man oh man, it’s so good! Thank you for the initial measurements and technique for our, slightly manipulated take on your recipe. My 1/2 Trini children and my German/Canadian wife love my creation. And for me, it takes me back to when I was a little boy in San Fernando. Lol its funny i just stumbled across your comment hunny a year later. Was looking for something to cook today. Look how far we’ve come. Can’t wait to make more doubles this week!